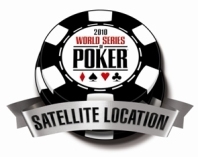 WSOP Participant Hotel Rate Call 1-877-307-7529 and mention code C1WSOPP to make your reservations. $35 weekdays and $65 weekends. Limited availablility at these rates. Casino generally sells out. Call 1-888-WIN-AT-IP. Special Room Rates offered, mention Code: CEPK010. Rates are $59.99 Sunday - Thursday and $99.99 Friday and Saturday.